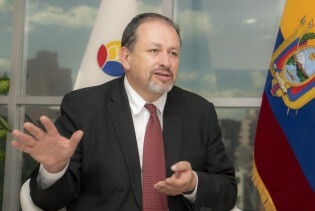 Ecuador has decided to move towards a bioeconomy-based development model, “which must be sustainable,” because otherwise "the remedy could be worse than the disease," said the country’s Environment Minister Tarsicio Granizo, who is spearheading this innovative approach. South Africans await judgement to be handed down in a court case that could set a sweeping precedent by empowering communities on communal land with the right to reject new mining projects. The government of Mauricio Macri dreams of Argentina becoming the world leader in lithium production. But it does not seem so clear that this aspiration, underpinned by the interest of multinational corporations, would also drive the development of local communities. Argentina does not have the mining tradition of other South American countries, but this could begin to change. The government wants to draw 30 billion dollars in foreign investment to tap the great mining potential along the eastern slope of the Andes mountain range, stretching from north to south. In Punta de Choros, a hidden cove on Chile’s Pacific coast, some 900 fishers do not yet dare celebrate the decision by regional authorities to deny the Dominga port mining project a permit due to environmental reasons. El Salvador, Central America’s smallest country, has become the first country in the world to pass a law banning metal mining in all its forms, setting a precedent for other nations in the world to follow, according to activists and local residents. The citizens of Cinquera municipality in Cabañas delivered a resounding vote against mining, on Sunday February 26th, when 98 percent of residents voted in favour of becoming El Salvador's fifth "territory free of mining." “Comrades, we have arrived. This cherry is eight years awaited. We have made it to this place,” Bishop Jo Seoka told the crowd, pausing to allow for the whistles and cheers. The dam supplying Johannesburg’s water sits less than 30 percent full. Water restrictions have been in place since November and taxes on high water use since August. Food prices across South Africa have risen about 10 percent from last year, in large part due to water shortages. Nagomba E. is no longer young; her hip is giving her trouble and her back is stooped from years of bending over her corn and rice fields. Yet every morning, at the crack of dawn, the wiry 74-year-old sets out on a strenuous half-hour walk to fetch water from a nearby river so that her ailing husband can take a bath. Despite her limp, Nagomba moves fast and with the sure-footedness of a mountain goat. Of the 150 socioeconomic conflicts related to the extractive industries that Peru’s new government inherited, one of the highest-profile is the protest by the people living near the biggest mining project in the history of the country: Las Bambas. Finding a sense of identity and purpose, as well as employment are some of the challenges facing youths in post-conflict Bougainville, an autonomous region in eastern Papua New Guinea in the southwest Pacific Islands. While Canada’s long-awaited support for the UN Declaration on the Rights of Indigenous Peoples brought hope and celebration last week, it's not yet clear whether the rights of Indigenous people in developing countries harmed by Canadian mining companies will also be included. The inhabitants of the northern Chilean mining region of Antofagasta have the highest per capita income in the country. But some 4,000 local families continue to live in slums - a reflection of one of the most marked situations of inequality in this country. Guyana's new president, David Granger, sits down with IPS correspondent Desmond Brown to talk about how his country is preparing for climate change – and hoping to avert the worst before it happens. A referendum on independence within the next five years dominated campaigning in the recent general election held in Bougainville, an autonomous region of 300,000 people in the east of Papua New Guinea (PNG), which emerged from a decade-long civil war 15 years ago. After the turn of the century, growth in sub-Saharan Africa (SSA) picked up again after a quarter century of near stagnation for most, mainly due to increased world demand for minerals and other natural resources. Family farmers in Chile are pushing for the reinstatement of water as a public good, to at least partially solve the shortages caused by the privatisation of water rights by the military dictatorship in 1981. From Arawa, once the capital city of Bougainville, an autonomous region in eastern Papua New Guinea in the southwest Pacific Ocean, a long, winding road leads high up into the Crown Prince Ranges in the centre of the island through impenetrable rainforest. Scattered across 240 sq km on the remote Niyamgiri hill range in the eastern Indian state of Odisha, an ancient tribal group known as the Dongria Kondh have earned themselves a reputation as trailblazers.